Ranbir Kapoor starrer “Sanju” which is a biopic of superstar Sanjay Dutt hit the theaters on Friday. The movie which is made out of real life story events of Sanjay Dutt was an instant success at the Box Office and since the trailer released viewers have been waiting for the movie to release so that they can watch their favorite stars life story on the big screen. The acting of the movie was intense and people loved the direction of the director Rajkumar Hirani. The movie has received great reviews from the viewers and also has been critically acclaimed by many critics. The Director Hirani held a special screening of the film too which was attended by some B-Town celebrities including Sanjay Dutt, Manyata Dutt, Ranbir Kapoor, Alia Bhatt, Imtiaz Ali, A R Rahman, Manisha Koirala, Fatima Sana Shaikh, Neetu Kapoor, Vidhu Vinod Chopra and few others. The movie is said to be an instant hit and is credited to the director Hirani who bequeathed the film industry with this masterpiece as he has done before with other super hit movies. Now when the acting and direction of the movie along with the content is so strong, then it is going to drag in viewers to theaters and the result was clearly apparent. It minted a whopping Rs 34.75 crore on its opening day which made “Sanju” the highest opener of the year and the second highest non-holiday opening of all times after S.S. Rajamouli’ magnum opus “Baahubali”. 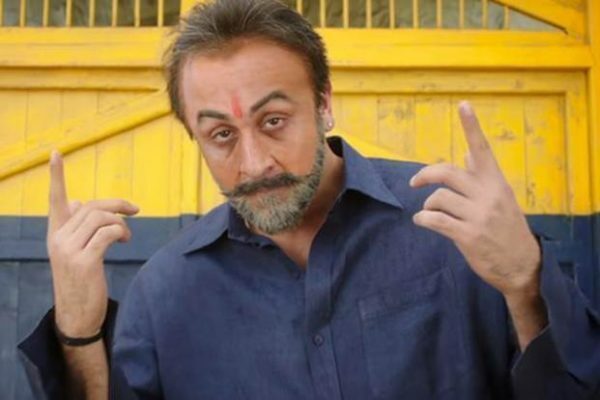 Taling about the second day collections of the flick, “Sanju” showed a significant growth and earned Rs 38.25 crore on Saturday. The two Rs – Rajkumar Hirani and Ranbir Kapoor – are the biggest beneficiaries from #Sanju… Hirani has consolidated and cemented his status with yet another SMASH HIT… Ranbir needed a Hit, the massive BO numbers to bring him back and yes, he’s back with a vengeance.